This example shows how to use a MultiTargetPath using the Seeker.StartMultiTargetPath method.This script should be attached to a GameObject with a number of children and a Seeker component. This example is only valid when the pathsForAll parameter is set to true, if it is set to false, you can get the path info in the same way as a standard path. What this script will do is to create a single MultiTargetPath which finds the shortest path from the GameObject to all of the children of the GameObject. 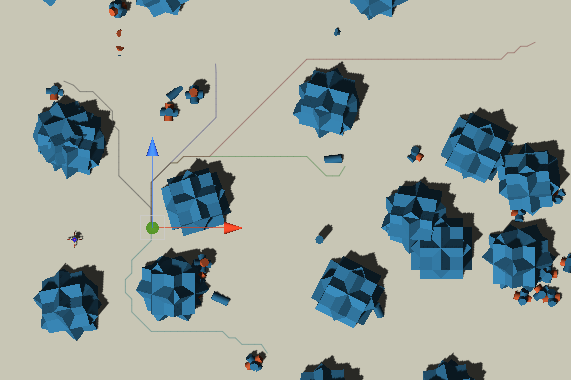 It will then draw all those paths and you should be able to see them in the scene view for 10 seconds.